On December 17, 2015, the Federal Court of Appeal released its decision in Netflix, Inc. v. SOCAN in which it granted an application for judicial review from the Copyright Board's decision dealing with a Tariff for musical compositions in audiovisual webcasts. Netflix opposed the section of the Tariff that imposed a monthly minimum fee on free trial subscriptions. The Court found that the Copyright Board breached its duty of procedural fairness with regard to Netflix in disallowing it from participating in the tariff certification proceedings. The Society of Composers, Authors and Music Publishers of Canada (SOCAN) began filing royalty statements for use of musical compositions in audiovisual works transmitted over the internet in 2007. In 2011, the Copyright Board opened the tariff certification process; Netflix did not participate at this initial phase. The Board suspended the proceedings in order to facilitate settlement negotiations between SOCAN and a group of industry stakeholders. Netflix again abstained from engaging and did not take part in the negotiations. SOCAN and the other parties to the negotiation reached an agreement and SOCAN filed a joint request on behalf of all parties to have the Tariff certified in accordance with their agreement. However, the Tariff's content had changed from the version initially published in the Canada Gazette. The Tariff’s first iteration made no distinction between subscription-based and on-demand services; it also did not provide for compensation in relation to free trial subscriptions. The new version of the Tariff addressed both. Netflix's interest in the Tariff fundamentally changed at this point. Unlike the signatories to the settlement agreement, Netflix's offerings are subscription-based and it is well known for its one-month free trial. The agreement, to which Netflix was not a party, therefore became a major concern, spurring Netflix into action before the Copyright Board. Since Netflix did not take part in the process from the beginning, the Board did not invite it to make submissions on the Tariff as proposed following the agreement; Netflix did so anyway. It argued that the free trials were fair dealing in light of the Supreme Court of Canada's recent case law relating to technological neutrality and consumer research fair dealing (ESA v. SOCAN and SOCAN v. Bell respectively). The Board refused to make Netflix’s submissions part of the record. The Board's decision to exclude Netflix was based on: 1) the fact that Netflix raised issues that could not adequately be addressed with the record as it stood and would require additional evidence; and 2) the fact that none of the parties to the proceedings had raised those issues prior. The Board also noted that Netflix had every opportunity to get involved in the proceedings from the beginning and failed to do so. Despite this decision, the Board chose to commence a new process based upon the Tariff resulting from the settlement discussions, citing exceptional circumstances and the fact that Netflix is such a major player in this space. The Board nonetheless required parties to make submissions based on the record as it stood and without introducing new evidence that did not consist of “noncontroversial facts which shed significant light on the proper course of action". Netflix made its fair dealing argument and requested leave to lead new evidence. SOCAN opposed and the Board refused to allow Netflix's request. The Board ultimately certified the Tariff, more or less as proposed by SOCAN. Writing for the Court, Justice Nadon (Justices Boivin and De Montigny concurring) held that the Copyright Board erred in failing to allow Netflix to make its submissions. After briefly noting that the applicable standard of review was correctness, the Court held that the Board failed to discharge its duty of procedural fairness vis-à-vis Netflix. The thrust of the Court’s reasons was that Netflix never had a chance to participate in the certification process relating to the Tariff as approved by the Board. SOCAN argued that Netflix abstained from participating because it chose to rely on other objectors to field its concerns. The Court held that regardless of whether this was the case, even if Netflix had participated at the pre-settlement negotiation phase, its submissions would have been in relation to a proposed tariff that was materially different (especially from Netflix’s perspective) from the one ultimately certified. In that respect, Netflix’s failure to participate from the get go could not serve was a waiver of its right to participate once the Tariff, and stakes, had changed significantly. Justice Nadon observed that since the tariff-setting process is one that concerns the industry as a whole, it is that “industry interest”, and not only Netflix’s individual interest, that must be safeguarded. He found this to be a relevant factor in deciding as to whether the Board met its procedural fairness obligations. 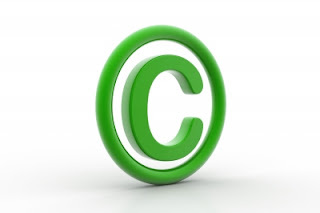 He also took issue with the Board’s assessment of the “ReSound 5 factors”, elements the Board should consider when deciding whether to certify a tariff based on an agreement between the petitioning copyright collective and interested stakeholders. In Re:Sound 5 the Board identified two factors that ought to be evaluated in such a situation: 1) the extent to which the parties to the agreements can represent the interests of all prospective users; and 2) whether relevant comments or arguments made by former parties and non-parties have been addressed. In Justice Nadon’s opinion, the Board was wrong to conclude that a negotiation process which excluded Netflix, the largest player in the space, adequately represented all perspective users’ interests. This is especially true in this case where the provisions in question were seemingly targeted at Netflix, and by extension its user-base. Justice Nadon also found that the Board failed to properly assess the second Re:sound factor in that it chose to ignore Netflix’s arguments on fair dealing. Since this factor contemplates non-parties, Netflix’s lack of participation in the proceedings is no excuse for failing to consider its arguments. The Court also failed to accept the Board’s reasoning that ruling on Netflix’s submissions would have required it to consider evidence that was not on the record. Justice Nadon noted that while this was true, the only reason why the required evidence was not on the record was because the Board failed to admit it. The Board is therefore precluded from relying on a lack of evidence caused by its failure to accept same. Nadon J.A. concluded by stating that though administrative tribunals do and should exercise a broad discretion over their procedural rules, the end goal of those rules are to assure that justice is done. In his view, failing to allow Netflix to advance its arguments ran counter to the interest of justice. Denying their right on procedural grounds is therefore inconsistent with the very goal that procedure is meant to encourage. This was a tight and well-reasoned decision. From a practical perspective, the Board’s decision did not pass the smell test. The proposed Tariff as published in the Canada Gazette made no mention of subscriber-based services and free trial subscriptions. The parties to the settlement negotiations did not offer subscription-based services or free trials; they were therefore effectively negotiating with Netflix’s chips. To allow this to stand would not only deny Netflix the opportunity to defend its interests, it would have allowed Netflix’s competitors to benefit from a more favourable compensation regime while stifling their biggest competitor’s business model. Due to the decision’s proximity to the holiday season, we will have to wait until the New Year to find out whether SOCAN will ask for leave to appeal to the Supreme Court of Canada.